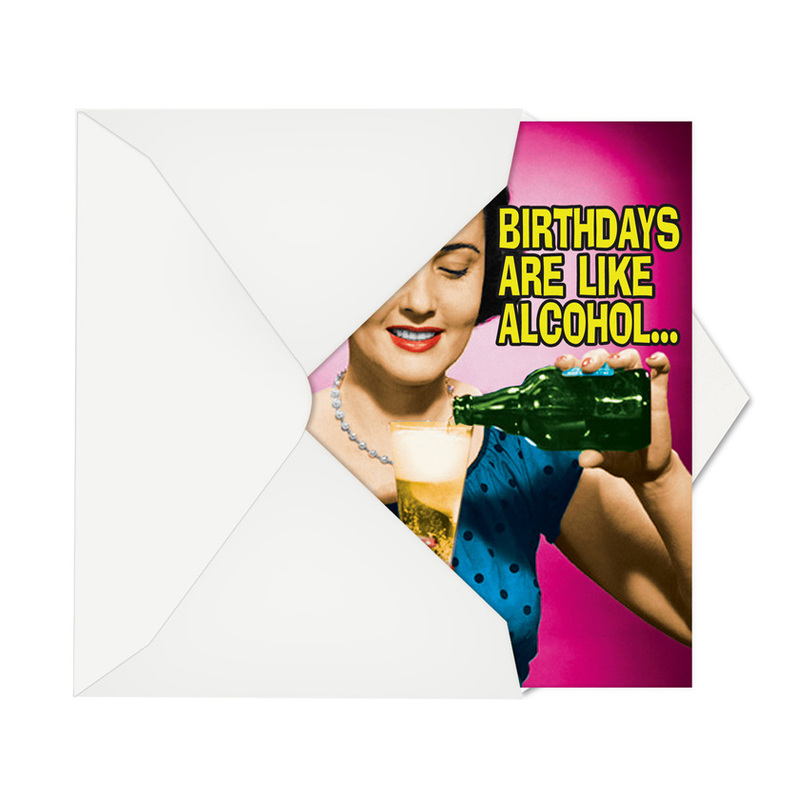 Wise words from a well-lubricated woman are featured on the Birthdays Are Like Alcohol Birthday Humor Card from NobleWorks Cards. 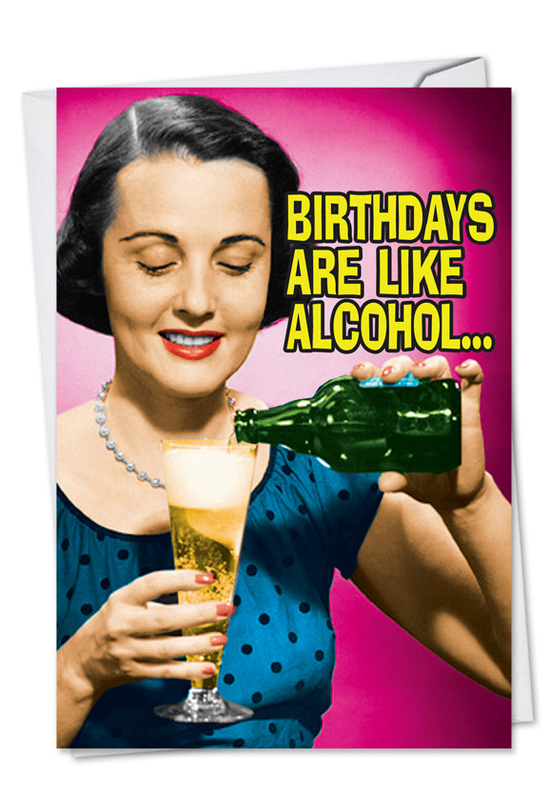 Maybe if life weren't filled with so many hassles and morons, we wouldn't need to drink. But being able to throw back a couple with your friends and blow off steam helps life go by a little better. Birthdays are a perfect time for a toast or two. 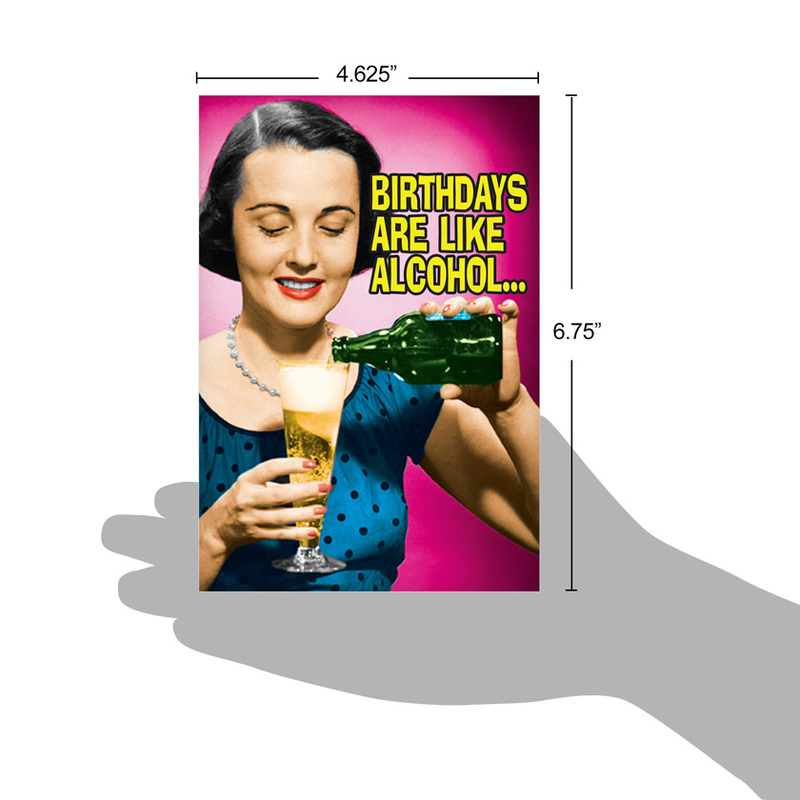 This birthday card for alcoholics or anyone who downs their share of spirits is perfect for finding something to celebrate about yet another birthday. 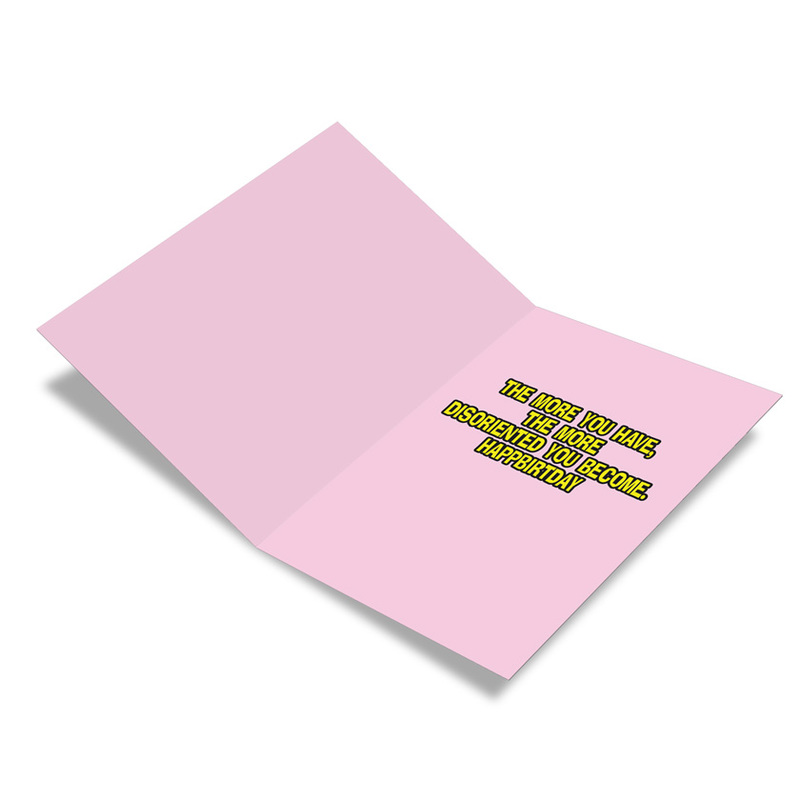 Part of our Talk Bubbles line, it's a funny birthday card printed on recycled paper that will get a few laughs and a few more raised glasses. 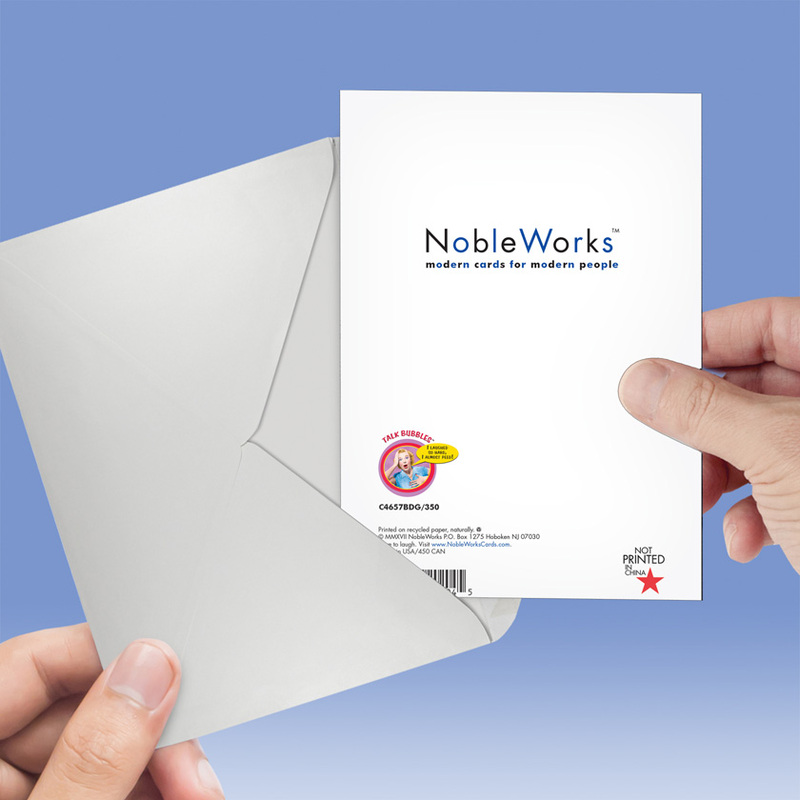 It's a smooth, bubbly way to convey your blitzed best wishes on someone's big day.